Now available for iphones and ipads! 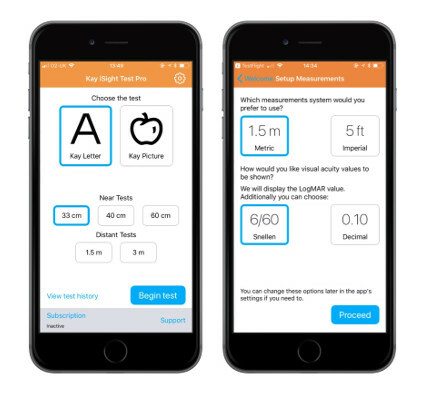 The new Kay iSight Test Professional app lets you measure and record near and distant visual acuity in children from 18 months of age through to adults. It is simple and intuitive to use, making your testing quick and easy. The Kay Picture Test is the only fully-validated picture vision test with accurate, recognisable pictures and evidence-based crowding. This app is CE marked as a medical device. Provides various testing distances from 33cm to 6 metres. Choice of letters or pictures for testing. Offers single, crowded and chart presentation. Displays metric or imperial Snellen notation, plus LogMAR. Easy to increase and decrease the size displayed. Simple to refresh the optotypes on screen. Records visual acuity results for each eye. Saves your results for later review in test history. 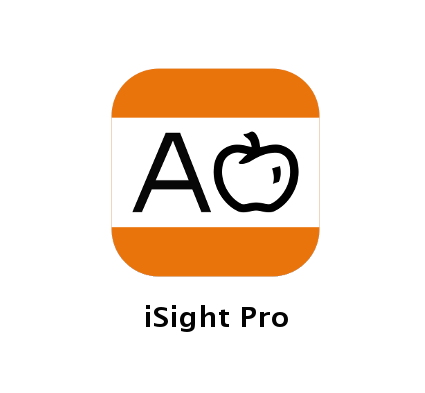 Our iSight app is free for one week once downloaded. After this you can either purchase a monthly subscription for £3.99 per month or an annual subscription for £24.99 per year. Electrical safety It is recommended that users follow all local electrical safety guidelines and safety standards for tablets computer products and use only devices regarded as safe for use in hospital and healthcare environments. The device should not be connected to a power supply during testing. Users are advised to never use wireless devices within 2 metres of sensitive medical equipment. If there is any doubt, users are advised to seek local guidance before using the device. Cross Contamination It is recommended that users follow all local safety guidelines for the safe use and control of cross-infection and contamination from electrical devices such as tablet computers in hospital and healthcare environments. The use of wipe-clean products for sterilising the device will reduce the risk of cross-infection or contamination.